It seems that the strawberry season is slowly coming to an end here on plot 15c and I am a little relieved. Don’t get me wrong, I love strawberries but there was a massive glut of them and after making lots of jam already I was a little bemused about what I could make with the rest. 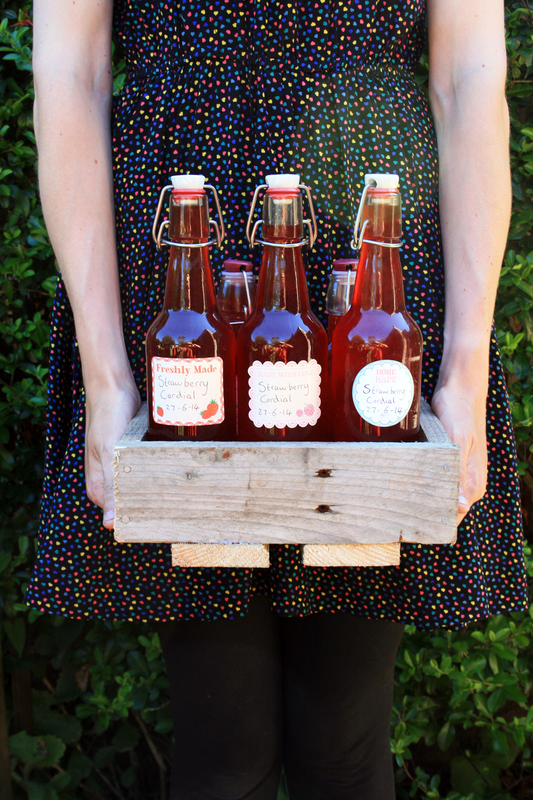 I came across a recipe for some strawberry cordial and it sounded delicious! I had already made lots of elderflower cordial and amongst it being really yummy I found that you can use it as an ingredient in so many things such as jelly (there will be another post all about my elderflower jelly very soon!) I used half of my strawberry harvest to make some more strawberry and elderflower jam because I love it so much, and then I used the other half to make the cordial. Strain through a muslin and decant into sterilised bottles. Keeps in the fridge for up to 6 months. 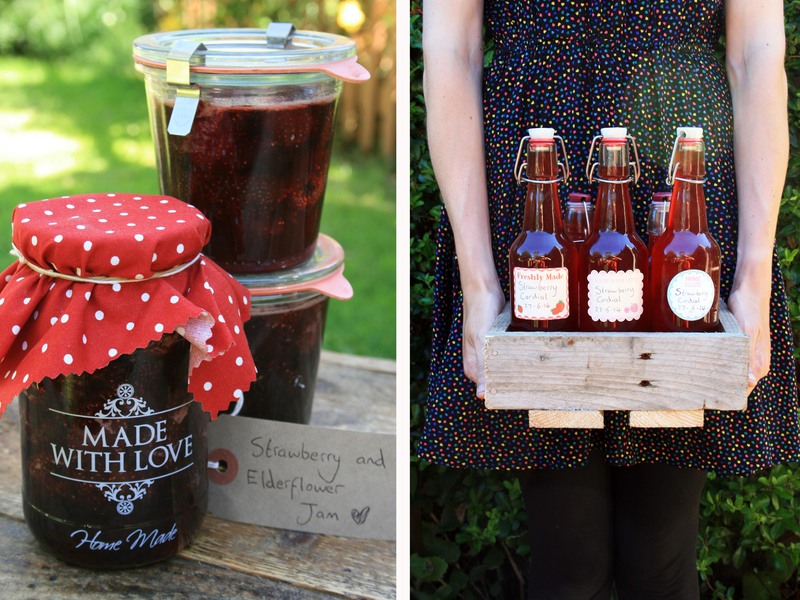 I’ve made elderflower and blackcurrant cordial before, but never strawberry. Looks delicious. I think I’ll have a go at that one. Thanks for posting it. Marvellous! But so wrong about 6 months. The kids drank it all in 3 days ! Hi, I’m going to be giving your recipe a go as it sounds delicious! Thank you for sharing! Just wanted to ask how much citric acid I need to use? Many Thanks!